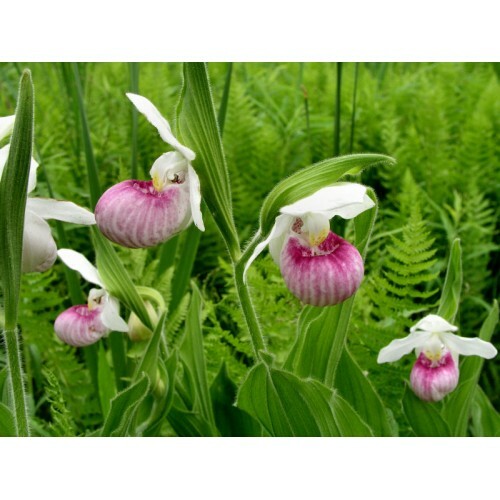 Cypripedium reginae - Native Lady slipper orchids. 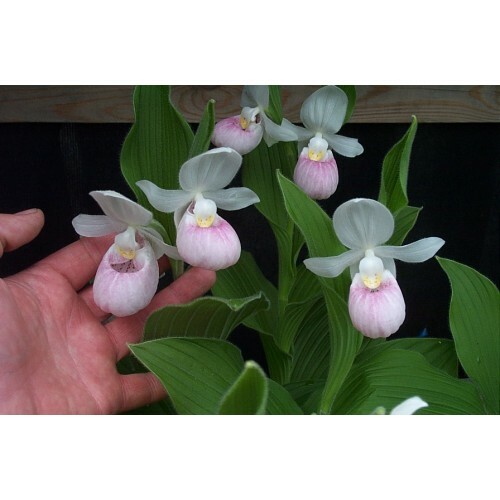 Showy Lady’s slipper orchid, or Queen’s Lady Slipper Orchid . Sold as Live potted plants in mid season or dormant rootstock in early spring. 3" x 3" x 3" container size. or dormant bare root stock depending on your order date. Mult-stemmed plants. This is the easiest terrestrial orchid for the home gardener to enjoy. Have you missed the early season shipping dates for bareroot dormant plants, no problem, we can ship as live growing plants mid-season for you. Please see our restricted state info for shipping live plants.